The report said that tobacco smuggling and the tax rate have risen practically in tandem since 2006. 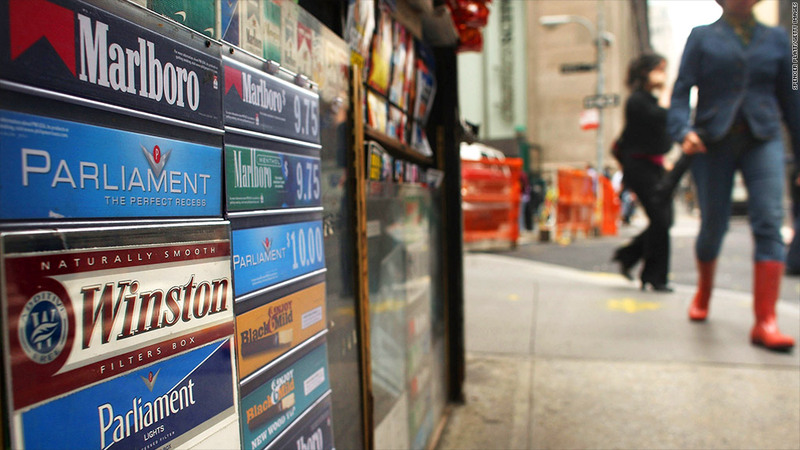 The New York State tax on cigarettes has risen 190% since that time, as the rate of smuggling increased 170%. This bears out a report issued last month by the New York Association of Convenience Stores, estimating that "chronic cigarette-tax evasion" deprives the state of at least $1.7 billion in tax revenue and 6,700 jobs. Joe Henchman of the Tax Foundation, who co-authored the report with scholars from the Michigan-based Mackinac Center for Public Policy, said the smuggling takes place in various forms. In many cases, the smugglers physically transport the cigarettes into New York from nearby states with much lower tax rates, such as Virginia, a longtime tobacco producer with a rate of 30 cents per pack. The smugglers will often use counterfeit tax stamps to conceal the illegal nature of their wares. Henchman said there have also been cases of New Yorkers making their own cigarettes as "kind of the equivalent of moonshine" and there have also been hijackings of tobacco trucks. But on a much grander scale, he said the Internet serves a primary role in illegal cigarette purchases. Also, he said that some Native America reservations sell tax-free cigarettes, and this is why New York State has a "long-running dispute" with the Oneida Indian Nation. The Oneida Indian Nation manufactures its own brand of cigarettes called Niagra's. The Nation says, on its web site, that it used to make the cigarettes in Buffalo, but moved its Sovereign Tobacco company to Oneida in 2010, "availing itself of a long-settled law that recognizes the right of Indian tribes to sell products they manufacture on their own reservations without interference from state laws." At the time, the tribe said that 15 people were employed in cigarette manufacturing, and that keeping those jobs on the reservation "will ensure that the loyal customers of the Nation's enterprises are able to continue buying Nation-manufactured cigarettes at reasonable prices, free from New York State taxes." Representatives of the Nation did not immediately answer messages from CNNMoney. Related: What would a legal marijuana industry look like? Nationwide, the industry leaders are Reynolds American (RAI), parent of R.J. Reynolds Tobacco Company, which produces Camel, Pall Mall, Winston and other brands, and Altria Group's (MO) Phillip Morris, which produces Marlboro, Virginia Slims and Parliament. "R.J. Reynolds works closely with law enforcement every way we can, however this is a law enforcement problem," said R.J. Reynolds spokesman Bryan Hatchell, noting that the black market is a nationwide issue. "Governments are losing billions of dollars. Money spent on law enforcement will result in an excellent return on investment to the state." Altria spokesman David Sutton said his company also works with law enforcement to help officers recognize counterfeit products, and it tries to convince state governments to keep their tax rates within bounds, to avoid "unintended consequences" like a black market. Sutton said the "very, very high" tax rate in New York "creates an incentive for criminal activity to provide product to consumers to avoid paying that high tax."